I’m a sucker for early gratification, (you know, the opposite of delayed gratification, really not as unseemly as it sounds…). I have been known to give birthday presents early and often insist people open their presents on Christmas Eve. Basically, I have a hard time waiting when I know someone I love is going to love something I can give them. Starting Eloise on solid foods has been no exception. While our laid-back pediatrician gave us the green light to start solids between four and six months, I wanted to be cautious, especially since the general recommendation for beginning solids is now six months and Eloise had colic (which can be an indicator of stomach sensitivity). I also wanted to be careful not to let food crowd out the nutrients and immune protection of breast milk prematurely. 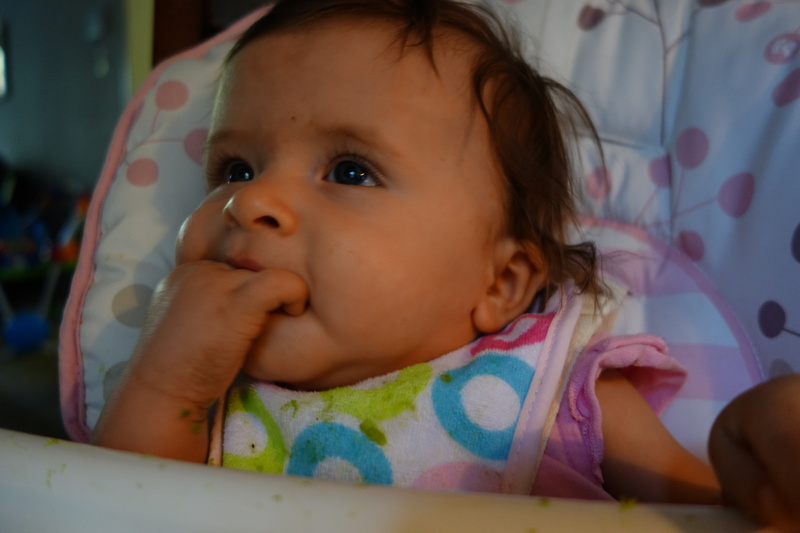 Still, she was showing the signs of being ready earlier than six months– particularly a strong interest in what we were doing during mealtime. While this is not the most crucial sign, I started researching and came across baby-led weaning (or baby-led feeding in the states). Instead of spoon-feeding “solids,” babies are given food to feed themselves that is of appropriate size and consistency to prevent choking. The idea is that babies will only eat as much as they actually need/want and solids will remain more of an exploration than a replacement of breast milk in the beginning phases. 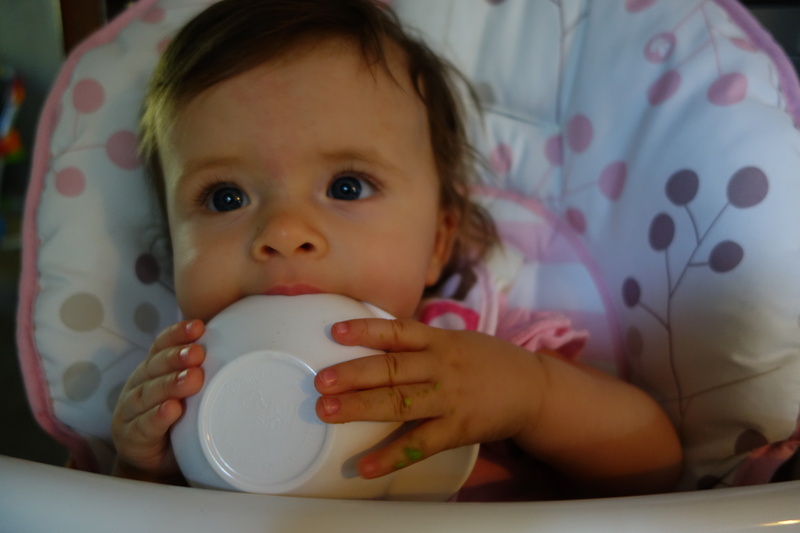 This seemed like the perfect solution– if Eloise was not ready for solids, she would hypothetically be unable to get (and keep) the food in her mouth on her own. A little more research showed that beginning this exploration at five and a half months was not dangerous. 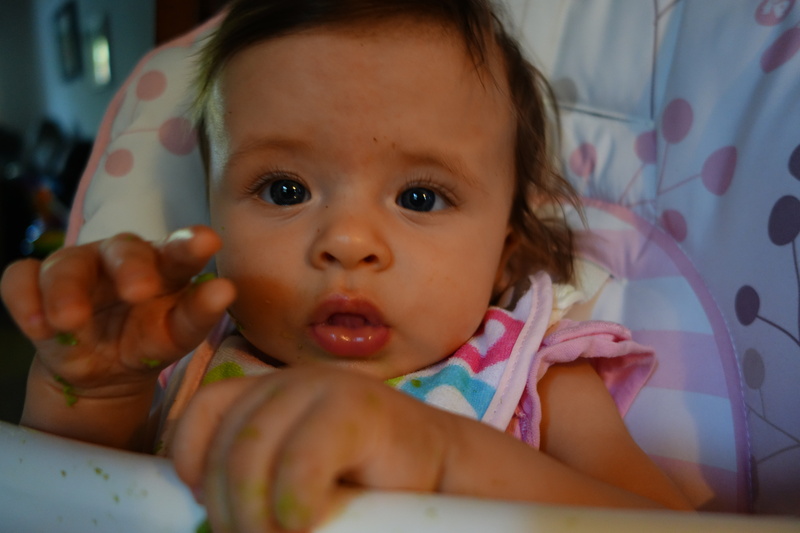 So, we set her up with smushed avocado and let the fun begin. We hovered to make sure she did not put more in her mouth than she could handle, and sure enough, she had a blast while only consuming a small amount. Now we have a way to keep her occupied during meal times that is teaching her fine motor skills while also giving us a little quiet (and entertainment!) while we eat.